Ryan Lash/TEDCarrie Nugent, asteroid hunter. Carrie Nugent spends a lot of time looking at space rocks. It’s par for the course in her line of work. Nugent is an asteroid hunter — someone who studies and catalogues the numerous asteroids that surround us near Earth. Once upon a time, the idea that an asteroid could hit the earth and wipe out civilisation (or just a big swath of land) was laughable. Then, in the 1990s, the theory that dinosaurs were destroyed by an asteroid impact gained traction. The idea didn’t seem so silly anymore. 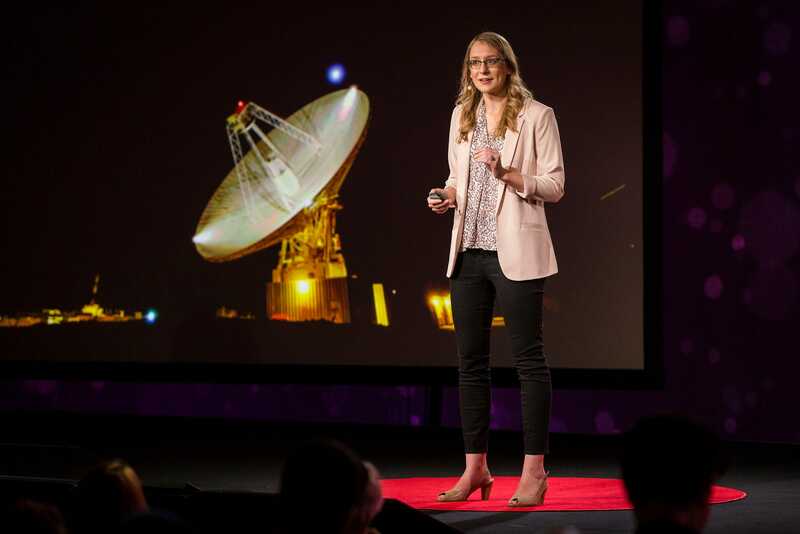 Nugent works with a team of scientists at Caltech that studies asteroids using NASA’s Earth-orbiting NEOWISE infrared telescope. A typical week for her goes something like this: First, wait for NEOWISE to take images and beam them back to Earth. This happens every 11 seconds. If it’s a Monday, Nugent checks the images to make sure they’re usable. Her colleagues look at the images the other days of the week. NASA/JPL CaltechAn artist’s rendering of NEOCam. “NEOWISE doesn’t find the most asteroids compared to most of the surveys, but we find dark, big asteroids because we look at thermal infrared [measurements],” Nugent tells Tech Insider. There’s one thing that could make the asteroid search a lot easier: a supercharged, dedicated asteroid-hunting telescope. 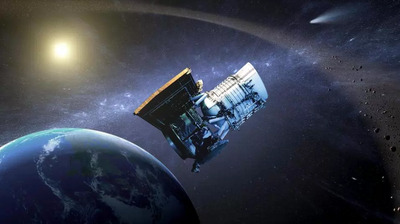 NEOWISE wasn’t originally designed to find asteroids; it’s a repurposed NASA spacecraft that once was once used to find remote objects in the universe, including black holes, galaxies, and stars. A next-generation telescope, called The Near-Earth Object Camera (NEOCam), would be created for asteroid hunting from the ground up. Nugent and her colleagues worked on the proposal for NEOCam, and they will find out if it gets funding from NASA in the fall. says that NEOCam could allow scientists to find 66% of those asteroids four years after its launch. For asteroid hunters like Nugent — and for the rest of us who’d rather not experience an asteroid sneak attack — that would be a huge deal.